Replace the word: “Tibetan” and “Tibetans” with any other nation or nationality and “Buddhist” with any other religion and the analysis is very nearly unchanged. The origins of the usefulness of religious mythology in the maintenance of the social status quo is explored; the use of fear of death and of angering the gods by opposing their “divine plan” here in this life is exposed. Without the intervention of conscious revolutionaries bearing Marxist materialist ideas and ideals, the masses remain trapped by the all-pervasive fear of the gods and of the capitalist state which – in the view of the religious believers of any faith – exists due to the fact that the status quo is ordained by God and cannot – must not – be opposed. This is the “slave mentality” that cripples workers and peasants throughout the capitalist world. “The Tibetans were living in a state of apprehension and anxiety. Every perturbation, either physical or spiritual, every illness, every susceptible or dangerous situation, would drive them to search feverishly for its causes, and for preventative measures. Fear formed the core of the Tibetans’ spiritual world. Only by propitiating their terror, by offering sacrifices to it in complicated ceremonies, by worshipping and obeying it, could one feel safe and free, reassured by its vast dominion and tremendous power. Such a fear already possessed, at a certain level, the nature of divinity; the origins of the vast number of ferocious and terrifying objects worshipped in Tibetan religion—including those of the Bon shamanism that predated the eighth-century introduction of Buddhism from India—can surely be traced back here. In that frightful environment, humankind can scarcely persevere without some sense of divine guidance and support. From this perspective it might be argued that, even if all other religions were on their way to extinction, the Tibetan creed would probably be preserved to the very last day. The following selection from the labor press of the AFL back in 1904 will show that there once was a time when even the class-collaborationist and hidebound AFL of Samuel Gompers understood – in direct contradiction to the fundamental belief of today’s AFL-CIO “leadership” – that the interests of labor and capital were fundamentally opposed to each other. “Let the unions understand that they may expect nothing of value from their natural enemies – and in the final analysis the whole question is sifted down to and rests upon and is controlled by the economic interests of the employing class as opposed to those interests of the working class.” So spoke the AFL back in 1904! Labor Given the Knife by the Great Molders of Public Opinion. The Workers Must Establish and Maintain Their Own Press If They Expect to be Properly Represented. No argument is needed to convince the intelligent observer of passing events of the growing need of a labor press that has no entangling alliances with any of the agencies which have undertaken the task of emasculating the labor unions or destroying them entirely. The most superficial reader of the daily press is quick to notice the manner in which the news agencies of the world are continuously and forever giving Labor the worst of it in every conceivable manner. 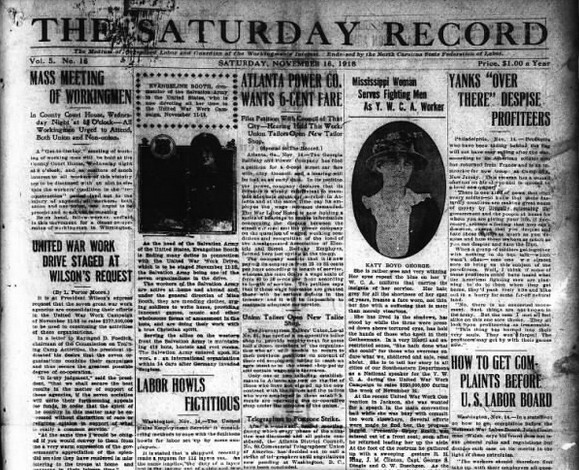 The Associated Press, the chief news-gathering agency in America, is made up of one or more daily papers in the various cities of the country, and the stuff put upon the wires and known as the Associated Press dispatches is usually gleaned from the matter prepared for these local papers. 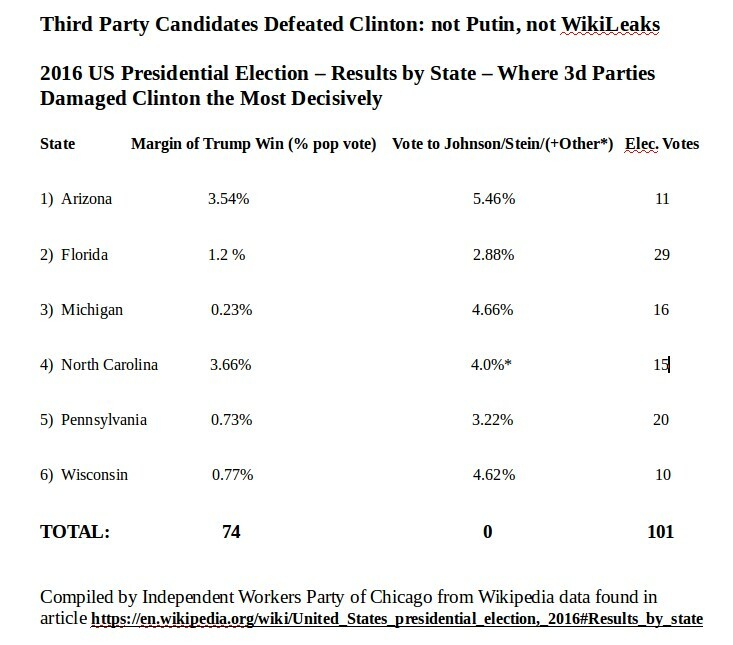 Very often a proof of the matter set up for the daily papers is supplied the [sic – IWPCHI] Associated Press correspondent, and often, without any corrections or changes whatever, the matter is telegraphed all over the country and appears in all papers receiving the press report as Associated Press dispatches. 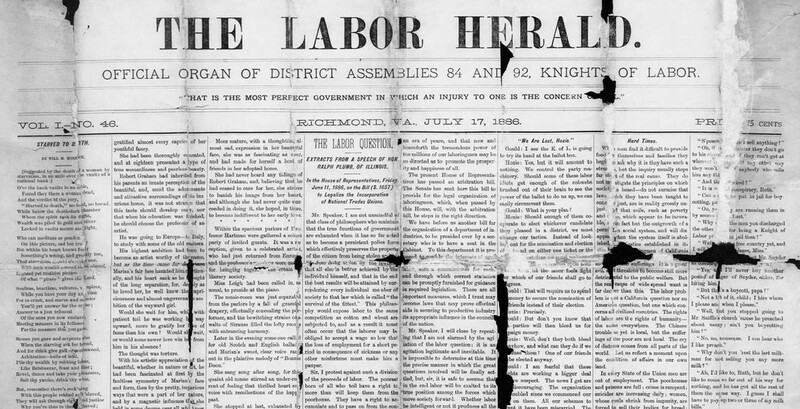 The foregoing recital is made for the purpose of showing that, while the Associated Press if damned for false stories, especially in nearly all cases where there is a strike or other controversy between Capital and Labor, in reality the blame rests upon the daily papers, whose reporters, acting under instructions, have juggled the facts so as to make it appear that Labor is wrong and that the employers are persecuted saints. To be sure, the daily paper merely serves its master in this. It looks to the “business interests,” the banks, corporations, manufacturers, and large employers of labor generally for its support. And, obeying the impulse to defend the class-interest of the element to which it belongs, the daily paper uses all its powers to thwart organized labor, confuse the union membership, and help the employers to a victory that means no improvement in the condition of the workers. The facts above stated are so patent, and are being more and more recognized by wage-earners, as the days come and go, that we deem an extended mention thereof to be superficial were it not for the moral the story contains. Under the circumstances what is Labor to do? Must it docilely submit to the fate of inaction? Shall it cower and cringe before the public gaze because it has been lied about and vilified – and whipped back to the factory, shop or mill through the misrepresentation of men in control of the daily press, whose economic interests are opposed to those of the workers? No! There is a better solution of the problem. The thing to do is to build up a LABOR press – owned by Labor and controlled by Labor. Through your own press, fellow-workers, you may become powerful, but not otherwise. With a medium that is under your ownership and control your organization may become a power not now more than dreamed of. To establish and make secure such a Labor press is the duty of the hour. You must have your own medium to give utterance to your demands, crystallize the sentiment that may be created in your favor, and finally do battle for you in every conflict in which you may be engaged. THE WORKER is the only paper within several hundred miles of Louisville that is organized and established on the right basis. It is the only one that is democratically owned by the forces of Labor, and therefore is the only medium through which the favors of those friendly to Labor ever reach the point for which they are intended. It is the only genuine Labor paper. 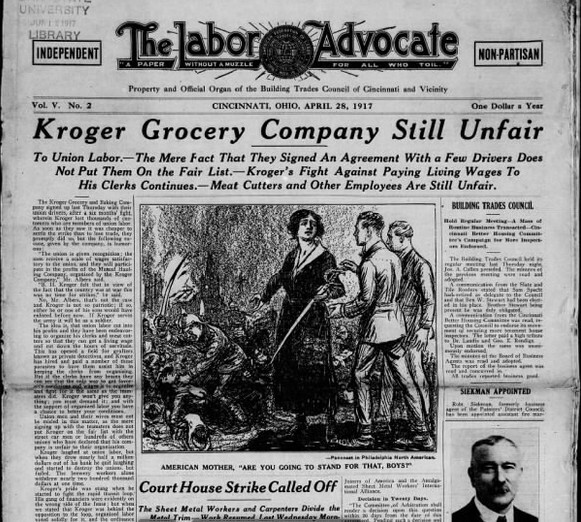 Everyone who reads the Louisville daily papers will recall that within the past couple of years they vied with each other in their efforts to get up a union labor department. Regularly each week a column or two was devoted to the news of the unions. Where are these departments now? When they have not entirely disappeared they have dwindled to virtually nothing. This is a manifestation of the studied purpose of the Employers’ Association and all its friends to give no recognition to organized labor except to oppose and belittle this great movement. 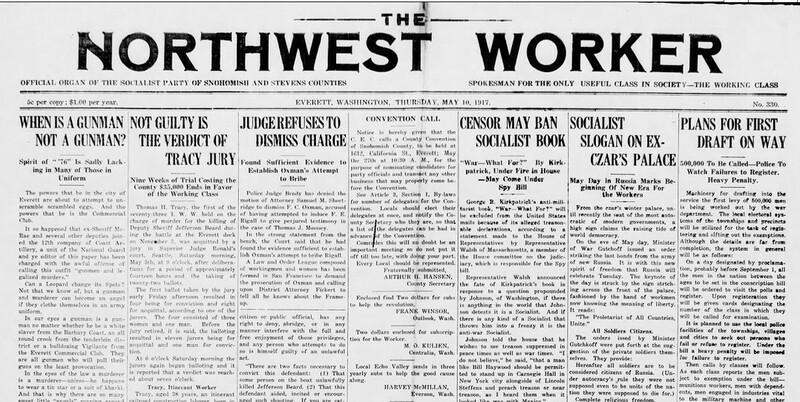 A representative of one of the daily papers, in a semi-confidential manner, gave the writer the tip several months ago that from that time on there would be less labor union news in the city daily papers than has been customary to give. Events have proven that he knew whereof he spoke. Labor is to be ignored – or, if given any consideration at all, it is to be given the knife. 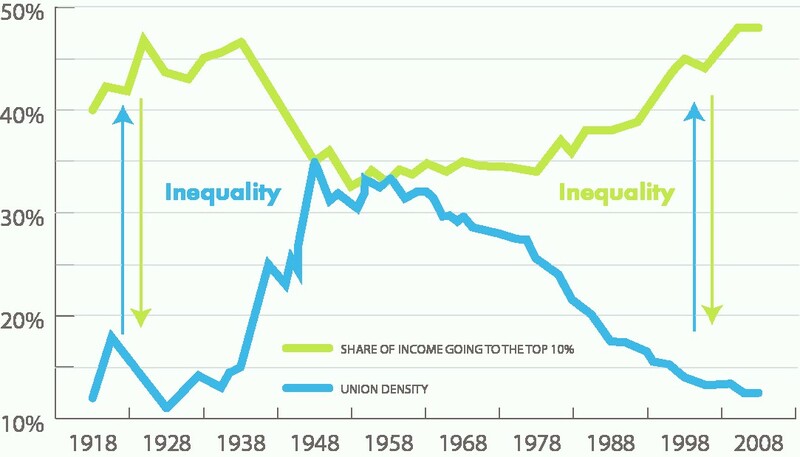 Again, let the unions understand that they may expect nothing of value from their natural enemies – and in the final analysis the whole question is sifted down to and rests upon and is controlled by the economic interests of the employing class as opposed to those interests of the working class. 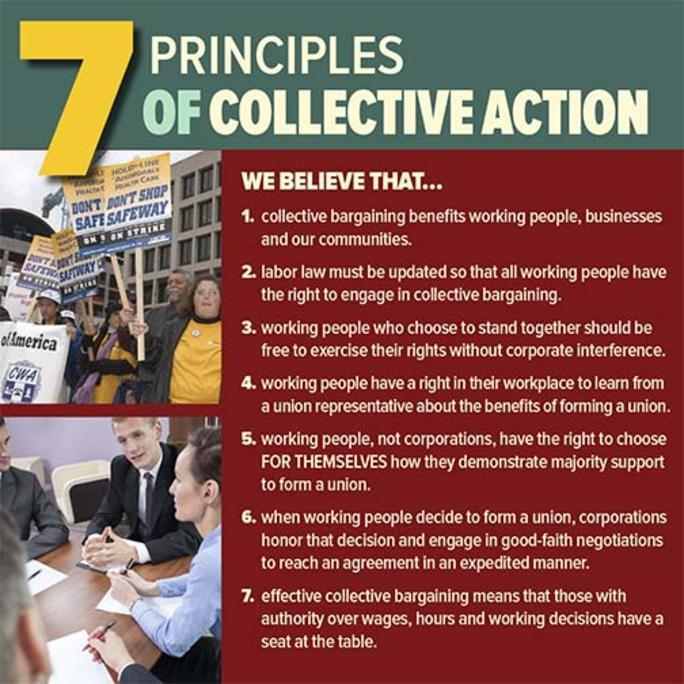 We do not blame the employers for defending their interests, but the workers MUST awaken to a proper defense of THEIR interests, and this can be done only by and through the press which they own and control, and not through the press that almost without exception gives Labor the hot end of it in every great issue and on every great question. Set up and support your own press and keep it true to its purpose. Therein lies your only safeguard, fellow-unionists.